D.A.R.E. Educator of the Year. 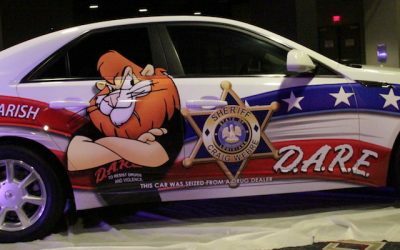 Recipients of these prestigious awards will be honored during the 32nd Annual D.A.R.E. International Training Conference. 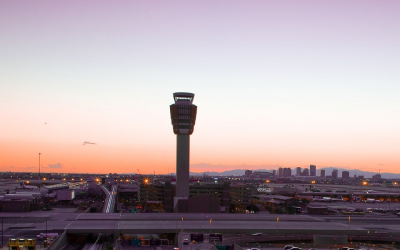 The conference is being held in Phoenix, Arizona from June 25th through 27th. Nominees for the awards shall have distinguished themselves in their dedication to D.A.R.E. 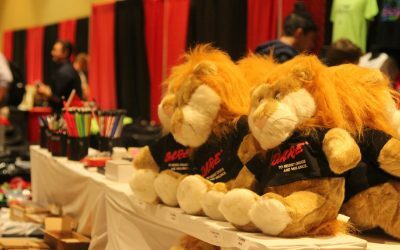 Their efforts must demonstrate a commitment to D.A.R.E. beyond the high standards evidenced by others involved in the program. Award nominations should be submitted to D.A.R.E. America’s Chief Operating Officer using the Nomination Submission Form and attaching the nomination documentation. 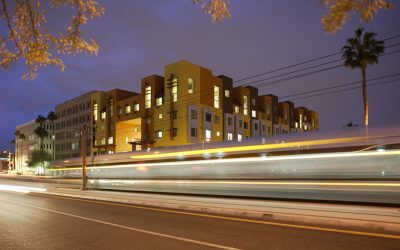 The nomination documentation must clearly articulate all information to be considered for selection, as well as identification of the nominating party/entity. Materials submitted for the nomination will not be returned. The correspondence should not exceed two pages, single-spaced, 12 point type. Additional information may be submitted as attachments to the nomination. The nomination should include the identity of the person to contact regarding selection results. 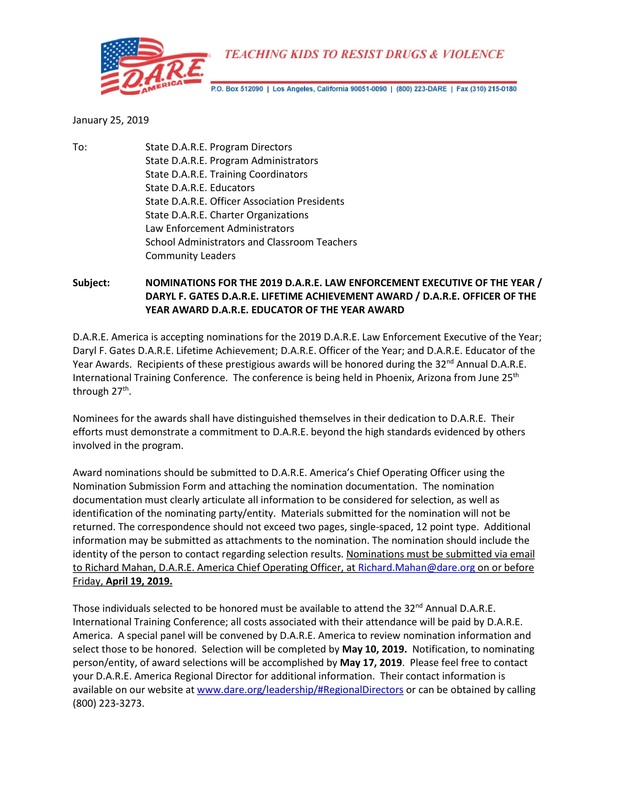 Nominations must be submitted via email to Richard Mahan, D.A.R.E. America Chief Operating Officer, at Richard.Mahan@dare.org on or before Friday, April 19, 2019. Those individuals selected to be honored must be available to attend the 32nd Annual D.A.R.E. 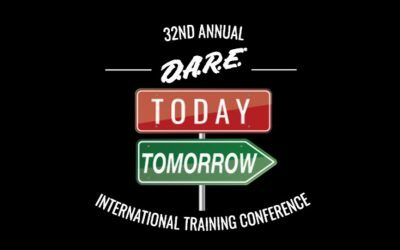 International Training Conference; all costs associated with their attendance will be paid by D.A.R.E. America. A special panel will be convened by D.A.R.E. America to review nomination information and select those to be honored. Selection will be completed by May 10, 2019. Notification, to nominating person/entity, of award selections will be accomplished by May 17, 2019. Please feel free to contact your D.A.R.E. America Regional Director for additional information. Their contact information is available on our website at www.dare.org/leadership/#RegionalDirectors or can be obtained by calling (800) 223-3273.